Your food drains you out instead of making you energetic: You feel lazy, worn out, and very sluggish after eating. Refined carbs, high-sugar drinks, and artificial sweeteners are possible culprits. Your food is causing unwanted mood swings: Foods rich in fats and spices, takes a very bad toll on psychological health too. 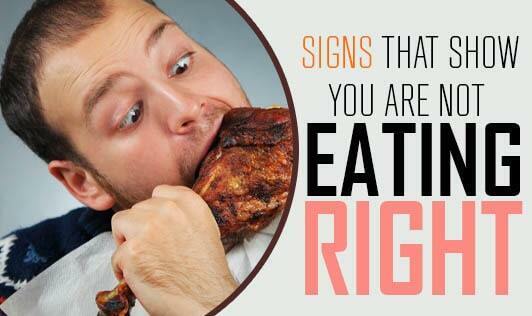 Certain foods affect brain chemicals and blood sugar levels, both of which affect mood levels. Obesity: Empty calories simply translate into love handles and muffin tops. So, plan your meals to avoid the much dreaded health problems associated with the more dreaded epidemic-obesity. Low Immunity: Improper diet can cause serious nutritional deficiencies and weaken the immune system. Plan your meal chart accordingly and keep ailments at bay. So, be fully aware of what you are introducing into your system in the name of ‘food’ and plan your diet wisely. This will also help you get more out of what you eat. Key word here, however, is ‘PLAN NOW’.